When I recently told someone our office would be closed to observe Veterans Day, I got back a blank stare. They had no idea there was such a holiday. Since I work at nonprofit co-located with a federal agency, our office follows the federal holiday schedule. Other workers for offices nearby also reacted the same and some were incredulous that such a holiday existed. It was never a school holiday as I recall but we all knew what the holiday was about. I think somehow over the years it has fallen by the wayside. Veterans and people who know veterans know of this holiday. Perhaps people just forget there is another holiday after Halloween (not a real holiday but many think it ought to be) and before Thanksgiving. Veterans Day is a day set aside to thank and honor military personnel who have served in peace and war. The day originally began as Armistice Day to celebrate the end of World War I. 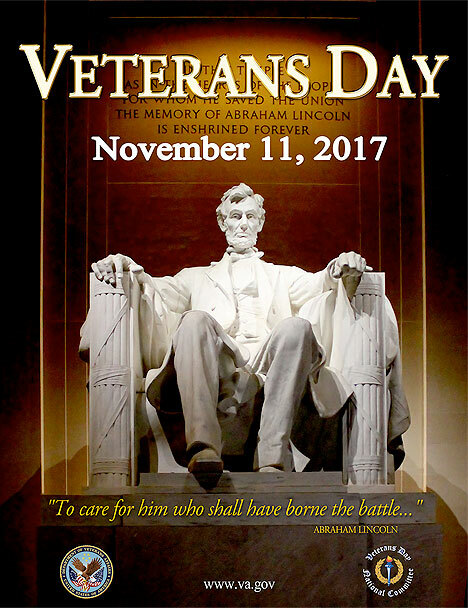 It was first officially celebrated on 11 November 1919 and was originally the celebrate veterans who served in that war. In 1954 after many Americans served in both World War II and Korea, veterans organizations petitioned the name be changed from Armistice to Veterans Day to celebrate all who served in the military. Congress approved this change on 1 June 1954 and has been known as Veterans Day since then. In 1968 as a result of the Uniform Holiday Bill, Veterans Day was shifted to the third Monday in October. Since this law allowed more three day weekends for federal workers (and states that followed the federal holiday calendar) and would allow more people to travel and spend money, this was thought good. The writers of the law never bothered to check and see if people wanted Veterans Day on the third Monday in October. And they were surprised when many states refused to honor the new date and stuck with November 11 for Veterans Day. The reason is not hard to understand. This patriotic holiday had been celebrated since 1919 and many generations had grown up with with it. In 1975 President Gerald Ford signed into law specifying that Veterans Day would always be celebrated on November 11 no matter what day of the week it falls on. Currently most federal holidays, if they fall on a non-working day (Saturday or Sunday), the nearest working day is the holiday. Meaning if it falls on a Saturday, Friday is a federal holiday. If the holiday falls on a Sunday, the official holiday is Monday. And if it falls into the middle of the week, Monday is when the holiday is observed. Thanksgiving and Fourth of July are two other holidays where they are observed on a specific day every year. The day is marked with important ceremonies such as the national ceremony at Arlington National Cemetery. It starts at precisely 11:00 a.m. with a wreath laying ceremony at the Tomb of the Unknown Soldier. It is followed by a parade of colors by veterans’ organizations and then speeches and remarks from important dignitaries. Almost always the sitting president will attend though on occasion the Vice President will act in his place should he not be in attendance. 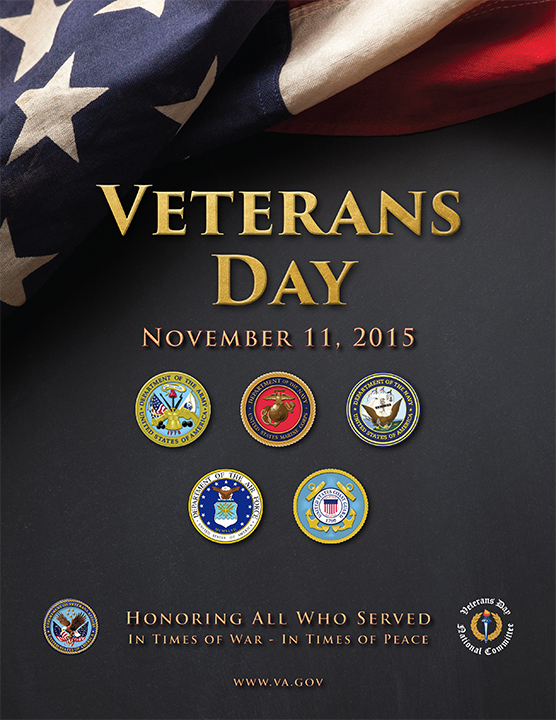 Veterans Day is to honor those who have chosen to serve our country, past or present. We honor and thank them for their service and remember as well that some gave all as well. They give up a lot so that we are protected. And this day is a big Thank You to all of them. It was never a school holiday as I recall but we all knew what the holiday was about. Somehow over the years it has fallen by the wayside I think. Veterans and people who know veterans know of this holiday. Perhaps people just forget there is another holiday after Halloween (not a real holiday but many think it ought to be) and before Thanksgiving. In 1968 as a result of the Uniforms Holiday Bill, Veterans Day was shifted to the third Monday in October. Since this law allowed more three day weekends for federal workers (and states that followed the federal holiday calendar) and would allow more people to travel and spend money, this was thought good. The writers of the law never bothered to check and see if people wanted Veterans Day on the third Monday in October. And they were surprised when many states refused to honor the new date and stuck with November 11 for Veterans Day. The reason is not hard to understand. This patriotic holiday had been celebrated since 1919 and many generations had grown up with with it. In 1975 President Gerald Ford signed into law specifying that Veterans Day would always be celebrated on November 11 no matter what day of the week it falls on. Currently most federal holidays, if they fall on a non-working day (Saturday or Sunday), the nearest working day is the holiday. Meaning if it falls on a Saturday , Friday is a federal holiday. If the holiday falls on a Sunday, the official holiday is Monday. And if it falls into the middle of the week, Monday is when the holiday is observed. Thanksgiving and Fourth of July are two other holidays where they are observed on a specific day every year. Veterans Day is a day set aside to thank and honor military personnel who have served in peace and war. The day originally began as Armistice Day to celebrate the end of World War I. 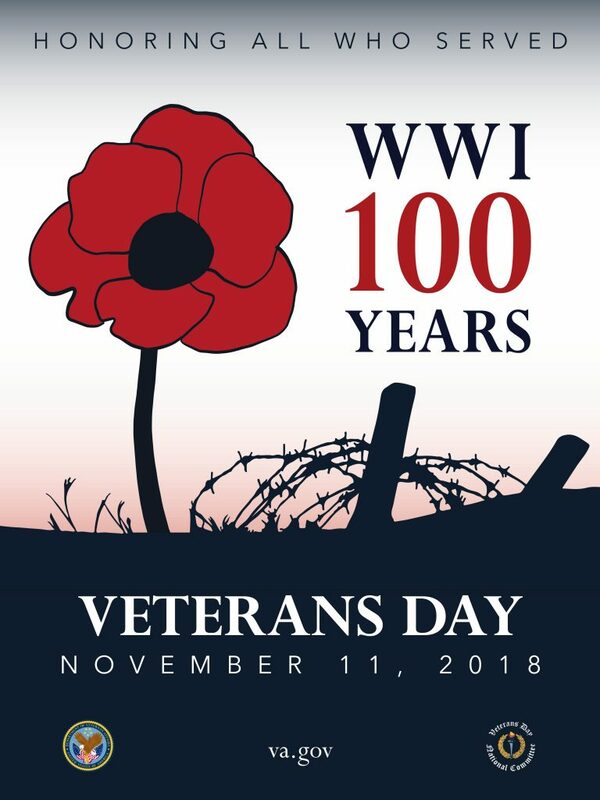 It was first officially celebrated on 11 November 1919 and was originally the celebrate veterans who served in that war. In 1954 after many Americans served in both World War II and Korea, veterans organizations petitioned the name be changed from Armistice to Veterans Day to celebrate all who served in the military. Congress approved this change on 1 June 1954 and has been known as Veterans Day since then. In 1968 as a result of the Uniforms Holiday Bill, Veterans Day was shifted to the third Monday in October. Since this law allowed more three day weekends for federal workers (and states that followed the federal holiday calendar) and would allow more people to travel and spend money, this was thought good. The writers of the law never bothered to check and see if people wanted Veterans Day on the third Monday in October. And they were surprised when many states refused to honor the new date and stuck with November 11 for Veterans Day. The reason is not hard to understand. This patriotic holiday had been celebrated since 1919 and many generations had grown up with with it. 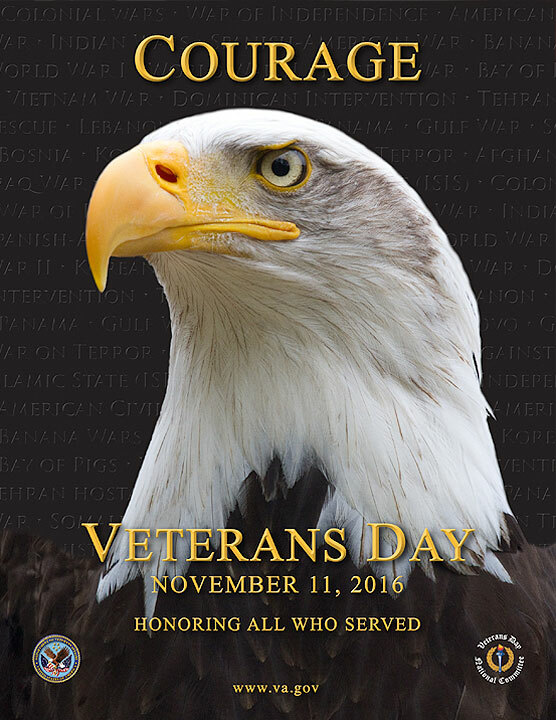 In 1975 President Gerald Ford signed into law specifying that Veterans Day would always be celebrated on November 11 no matter what day of the week it falls on. Currently most federal holidays, if they fall on a non-working day (Saturday or Sunday), the nearest working day is the holiday. Meaning if it falls on a Saturday like Veterans Day in 2017, Friday is a federal holiday. If the holiday falls on a Sunday like Christmas does this year, the official holiday is Monday. And if it falls into the middle of the week, Monday is when it is observed. Not so for Veterans and for another important holiday Thanksgiving.